(25–29 April, 2018) – Eimear and I were in Lexington, Kentucky for a very nerdy and beautiful wedding. (08–17 March, 2018) – I was in Dublin, Ireland during the semester break. (15 January, 2018) – I finally returned to TCU after my leave. It was lovely to be in Dublin, but it’s good to be home. (29 December, 2017–12 January, 2018) – Eimear and I visited my family in Hawai‘i. (07–10 December, 2017) – I visited friends and colleagues in Edinburgh, Scotland. (20 October, 2017) – I gave a work-in-progress talk about my current work on conceptual explication at the UCD School of Philosophy. (26 October) – A symposium on his recent book, Philosophy within Its Proper Bounds (OUP, 2017). (27 October) – A workshop on “Evaluating Methods of Inquiry,” featuring contributions by Edouard Machery, Maria Baghramian, Liz Irvine, Adrian Currie, Antti Kauppinen, Dermot Moran, and myself. (Fall 2017) – I was on leave from TCU for a semester. While I was away I was a Visiting Assistant Professor in the School of Philosophy at University College Dublin, working with the WEXD team. (13–14 July, 2017) – I attended the annual conference of the British Society for Philosophy of Science at the University of Edinburgh in Edinburgh, Scotland. (02–08 July, 2017) – I led a group of students to Dublin, Ireland where we attended a workshop on “Disagreement in Science and Beyond,” and explored the history of the city. (12–18 March, 2017) – I was in Dublin, Ireland for the semester break. While there I attended a workshop on “Intersubjectivity and Its Commitments” at University College Dublin, and prepared for my student trip to Dublin in July. (20 February, 2017) – My paper “Rethinking the Problem of Cognition” was accepted for publication by Synthese (find this and other publications here). (13–15 January, 2017) – I was in Houston, Texas for a very philosophical wedding. (29 December, 2016–12 January, 2017) – I was in Dublin, Ireland to celebrate the New Year with Eimear and to visit with my colleagues at When Experts Disagree. (02 December, 2016) – I gave a presentation on mastery-based assessment to a meeting of all Honors-affiliated faculty at TCU. Read a summary here. (03–05 November, 2016) – I was in Atlanta, Georgia for the 25th Biennial Meeting of the Philosophy of Science Association (a joint meeting with the History of Science Society and the Society for Literature, Science, & the Arts). I gave a presentation on conceptual explication for contested scientific concepts. (August, 2016) – I moved to Fort Worth, Texas to take up a post as Assistant Professor of the History and Philosophy of Science in the John V. Roach Honors College at Texas Christian University. (20 June, 2016) – I gave a talk at a workshop on Explanatory Pluralism in Cognitive Science at University College Dublin. (01–04 June, 2016) – I attended the 42nd Annual Meeting of the Society for Philosophy and Psychology in Austin, Texas, where I presented some of my recent work on the scientific concept of cognition. (26 May, 2016) – I participated in a masterclass held by Timothy Williamson held at the Royal Irish Academy on the occasion of his induction to the Academy as an Honorary Member. (23–24 May, 2016) – I attended a workshop on the philosophy of language with Dilip Ninan and the Dublin Philosophy Research Network. (May–July, 2016) – I was in Dublin for the summer with Maria Baghramian, Luke Drury, and colleagues researching expert peer disagreement in the sciences. (11–19 May, 2016) – I was in Hawai‘i for a gathering of Akagis. (18–23 April, 2016) – I was in Fort Worth, Texas, visiting my new academic home at Texas Christian University . (11–13 April, 2016) – I was in Philadelphia visiting friends and colleagues. (28 March, 2016) – I passed my dissertation defense with no corrections. (29 February, 2016) – I accepted an offer of employment to become Assistant Professor of the History and Philosophy of Science in the John V. Roach Honors College at Texas Christian University. (5–6 February, 2016) – I attended the annual Irish Philosophical Club meeting in Drogheda, Ireland along with philosophers from University College Dublin, Trinity College Dublin,Queen's University in Belfast, and University College Cork. (29 January–01 February, 2016) – Eimear and I were in Edinburgh to attend the wedding of Kian R. and Tom C. in Edinburgh. It was a lovely wedding, and I met lovely people and saw many old friends! (29 December, 2015–04 January, 2016) – I was in Dublin to celebrate the New Year with Eimear. (17–24 November, 2015) – A brief trip to Dublin. (03–12 October, 2015) – Eimear and I were in San Antonio and Austin, Texas for a wee trip and a lovely wedding. (19 June, 2015) – I finally returned to lovely Pittsburgh after my residence in Dublin, Ireland. (13–17 June, 2015) – Eimear and I returned to Edinburgh for a few days to visit friends and colleagues. (08–13 June, 2015) – The SAAP Summer Institute in American Philosophy was held at University College Dublin, and I made appearances as work allowed. (04 June, 2015) – I was awarded the University of Pittsburgh Provost's Development Fund Award, a competitive dissertation-completion fellowship. This award funds my work for the 2015–2016 academic year. (04–06 June, 2015) – I attended the 41st Annual Meeting of the Society for Philosophy and Psychology in Durham, North Carolina, where I gave a talk about conceptual analysis and cognition. (11 May–19 June, 2015) – I resided in Dublin, Ireland for the early summer, where I served as the philosopher-in-residence for Restored Hearing, a great Irish start-up that aims to rid the world of preventable hearing damage. Since I remain involved but am currently resident in Pittsburgh, I suppose I'm now the philosopher-in-exile. (05–15 March, 2015) – I was in Hawaiʻi, on the Big Island, for a gathering of the Akagi clan at the family compound (i.e. at my father's wee house). (19–24 February, 2015) – I was in Dublin for a brief visit with friends and colleagues. (28 December, 2014–05 January, 2015) – I was in Dublin, Ireland to celebrate the New Year with Eimear. (21–22 November, 2014) – I attended the early career scholars conference in philosophy of psychiatry, "Overcoming Mind-Brain Dualism in 21st Century Medicine," at the Center for Philosophy of Science in Pittsburgh. (6–8 November, 2014) – I was in Chicago again to present at the 24th Biennial Meeting of the Philosophy of Science Association. (11–14 October, 2014) – I was in Chicago for an informal workshop on acoustics. (18–22 June, 2014) – I was in Vancouver, BC to present at the 40th Annual Meeting of the Society for Philosophy and Psychology. And I storified it. (30 April, 2014) – I ended my time at the University of Edinburgh and returned, at long last, to my beloved Pittsburgh. (24–27 April, 2014) – Eimear and I traveled to Islay with the Edinburgh University Water of Life Society, and had whisky-tasting adventures with friends. (09–13 April, 2014) – I was in Dublin and western Ireland to see fancy friends. (7 March, 2014) – I gave a talk on the mark of the cognitive at the University of Glasgow as a part of the philosophy department's postgraduate seminar. (7–8 February, 2014) – I attended a meeting of the Irish Philosophical Club in Drogheda, Ireland. (02–12 January, 2014) – In the concluding leg of a two month bout of vagabonding, I visited friends and colleagues in Lisbon and in London. (27 November–29 December, 2013) – I returned to the United States for the Holidays. To see family? Dear me, no. To see colleagues in Pittsburgh and to work in my mother's shop, personalizing Christmas tree ornaments. (27–28 October, 2013) – I participated in the British Postgraduate Philosophy Association's 11th annual Masterclass on action-oriented predictive coding at the University of Edinburgh. (22 October, 2013) – I finally created that blog I've been talking about. So from here on out you can read my thoughts on philosophical methodology (and probably a few other things) at Explicit Content. It is meant to be accessible to non-philosophers. (22 October, 2013) – I put some papers back up on the website. Nothing too current, though, and nothing from the dissertation. (18 September, 2013) – I arrived in Scotland to spend half a year as a visiting doctoral student in the School of Philosophy, Psychology and Language Sciences at the University of Edinburgh. (14 September, 2013) – I was in Columbus, Ohio for my sister's wedding. Congratulations to Mr. and Dr. Oliveira ! (23 July–07 August, 2013) – I was in the UK for a wedding (congratulations Michael and Trudy ! ), and to make preparations for moving to Edinburgh in autumn. (26–29 June, 2013) – I was in Toronto to give a talk at the Fourth Biennial Conference of the Society for Philosophy of Science in Practice. (7–9 June, 2013) – I attended Alumni Weekend at Swarthmore College. (18–25 March, 2013) – I was at a gathering of the Akagi Clan on the Big Island of Hawaiʻi with all of the Akagis and our eccentric matriarch. And the dog. And the chickens. (28 February–2 March, 2013) – I had a fabulous time in Austin, Texas, seeing philosophers and talking about the nature of cognition at the Annual Meeting of the Southern Society for Philosophy and Psychology. (7–9 December, 2012) – I was in Kalamazoo, Michigan to see my brother, and to speak about computationalism and cognitive science at the 6th annual Western Michigan University Graduate Student Philosophy Conference. (3–4 November, 2012) – I was in Washington, D.C. to see philosophers and attend the 2012 Tweed Ride. (5 July, 2012) – I defended my prospectus on functionalism and cognitive science. (26 June–02 July, 2012) – I was in the Bay Area, taking in some culture. (21–24 June, 2012) – I was in Boulder to talk about consciousness at the Society for Philosophy and Psychology annual meeting. (9 June, 2012) – I was in Washington, D.C. attending the 2012 Seersucker Social. (2 May, 2012) – I was a discussant at the Central Catholic High School Baginski Scholar Symposium. Kudos to the Baginski scholars for their extremely impressive presentations ! (12–14 April, 2012) – I was in Boston to talk about Prinz on the emotions at the Interdisciplinary Graduate Conference on Consciousness at Boston University. (6–7 April, 2012) – The 14th Annual Pitt-CMU Graduate Philosophy Conference was held at the University of Pittsburgh, and wasn't even interrupted by the ongoing bomb threats. Thanks again to all our speakers, commenters and attendees for making our conference a success ! (24 February, 2012) – I passed my third-year comprehensive evaluation, and am currently working on my prospectus with Robert Brandom. (30 September–3 October, 2011) – I was in Boston to visit my good friend and colleague A.C. North. (06 August, 2011) – I was in Ohio to celebrate my mother's wedding (finally !). (11–12 June, 2011) – I was in Kalamazoo, Michigan to see my brother commence. (28 April–02 May, 2011) – Arts Festival and May Day madness around Philadelphia. (18–19 March, 2011) – The 13th annual Pitt-CMU Joint Graduate Conference in Philosophy was held at Carnegie Mellon University. (5–13 March, 2011) – Spring holiday (and swashbuckling festivities) in Boston. (4–8 June, 2010) – I was in Ohio with family. (21–24 May, 2010) – I went to Oregon to witness the the lovely wedding of Annie and and Alex B. Congratulations. (06–21 May, 2010) – I traveled to California to visit some friends around the Bay Area. Many thanks to my generous hosts, Lily C., Emlen H.M., S.J.B.A. and many parents for their generosity ! (19–28 December, 2010) – I and the rest of Akagi generation #2 visited Akagi #1 and the おばあさん in Hawaiʻi for Christmas. (03 January, 2011) – Return to Pittsburgh. (24–28 November, 2010) – Thanksgiving and retail adventures in Ohio. (19–20 March, 2010) – The Twelfth Annual Pitt/CMU Graduate Student Philosophy Conference was held in Pittsburgh. (05–12 March, 2010) – I visited friends and met with prospective students in Boston. Thanks to Molly W., Max L. and Katie B. for your hospitality and company ! (01 March, 2010) – I posted a new paper on Sellars' functionalism (on the papers page). (19 February, 2010) – The brother came home to the States. (29 December, 2009–11 January, 2010) – I was in Japan, visiting the brother and praying. (11–29 December, 2009) – Home in Ohio for the holidays. (26 November, 2009) – The School of Philosophy, Psychology and Language Sciences at the University of Edinburgh held its graduation ceremonies; I received my degree in absentia. (25–26 November, 2009) – I was home in Ohio for Thanksgiving. (16 November, 2009) – I've posted some drafts of some papers I can bear to have read; you can find them through the ‘Papers’ link in the upper left of the page. If you read them for some reason and have comments, drop me a line. I’d be very happy to hear them. (12–13 November, 2009) – I visited Swarthmore to attend Chaverim's first CD release party, featuring the Alfred James Band. It was all manner of awesome. (01 September, 2009) – My brother arrived in Japan, and he is documenting his adventures at http://kouriinjapan.blogspot.com/. (31 August, 2009) – The Fall Semester began at the University of Pittsburgh. (27 August, 2009) – I moved into my new home in Pittsburgh, Pennsylvania. (25 August, 2009) – I pried myself loose of dear Auld Reekie and returned to the States. (21 July, 2009) – I finally gave in and ordered a kilt (straight, no tartan) and waistcoat from the famous Howie Nicholsby. It was a very exciting moment for me. (16 July, 2009) – I moved this site from its old home, which is soon to be bulldozed, to its new one here. (02–05 July, 2009) – I spent a weekend in Cambridge with Amber N., Julia B., and other philosopher friends. (30 June–02 July, 2009) – Conference on ‘Themes from the Ethics of Bernard Williams,’ in Leeds, UK. (28–29 June, 2009) – Scottish Network for Normative Philosophy Conference in Edinburgh on Practical Reasoning. (21–26 June, 2009) – I spent a week in Kintail, in the West Highlands. It was relaxing and invigourating. (02–09 June, 2009) – I spent a week in London, appreciating Culture. (25–27 April, 2009) – My Boulder classmate and friend Amber N. paid a working visit to Edinburgh. (10 April, 2009) – From one ’Burgh to another : I have decided to enter the PhD program at the University of Pittsburgh, starting this Fall. (02–05 April, 2009) – I spent a long weekend in Swarthmore, Pennsylvania, interrupted by a surprise trip to D.C. with Chaverim. (20–22 March, 2009) – I attended the “Minds, Brains, and Beyond” Susan Hurley Memorial Conference in Bristol. (01 March, 2009) – Durgin, F.H., Akagi, M., Gallistel, C.R. & Haiken, W. (2009) The precision of locomotor odometry in humans. Experimental Brain Research 109: 429-436. ‘Iolani Palace in Honolulu, Hawai‘i. January 2018. おばあさん (my grandmother) at 94. January 2018. Eimear reads to Baby Kayda in Hawai‘i. January 2018. Marching for women’s rights in Dublin. September 2017. Historical tours in Dublin with TCU students. July 2017. My niece Baby Kayda. Very important baby. April 2017. Lou the neighbor cat pays me a visit. October 2016. E. has a tender moment with a Giant Eyeball. Dallas. October 2016. Brunch with Eimear in Fort Worth. October 2016. Sundance Square the night I moved to Fort Worth. August 2016. Dublin and environs. June 2016. The Treaty Oak in Austin, Texas. June 2016. Flight of bats at Congress Avenue Bridge in Austin, Texas. June 2016. Coquí frog near Kea‘au, Hawai‘i. May 2016. T-rex in Pittsburgh International Airport. April 2016. Campus Commons at Texas Christian University. April 2016. Spotted in Squirrel Hill in Pittsburgh. 2016. The Oxford Bar. Edinburgh, Scotland. 2016. St. Stanislaus Kostka Church. Pittsburgh, PA. 2015. Feral cat (Dot) at Lake Erie in Ohio. 2015. Eimear at the Texas State Capitol. 2015. A moonlight tower in Zilker Park. Austin, Texas. 2015. The Cathedral of Learning. Pittsburgh, PA. 2015. Crowds celebrate marriage equality at Dublin Castle. 2015. Jawbone Walk in the Meadows. Edinburgh, Scotland. 2014. A still at Kilchoman Distillery. Islay, Scotland. 2014. A safety sign in the old cooperage at Caol Ila Distillery. Islay, Scotland. 2014. The Union Canal in Edinburgh, Scotland. 2014. Stills at Strathearn Distillery, Scotland. 2013. A crazy fisherman at Kaloli Point. Hawaiʻi. 2010. The Cathedral of Learning and the Cloud Factory. Pittsburgh, Pennsylvania. 2010. 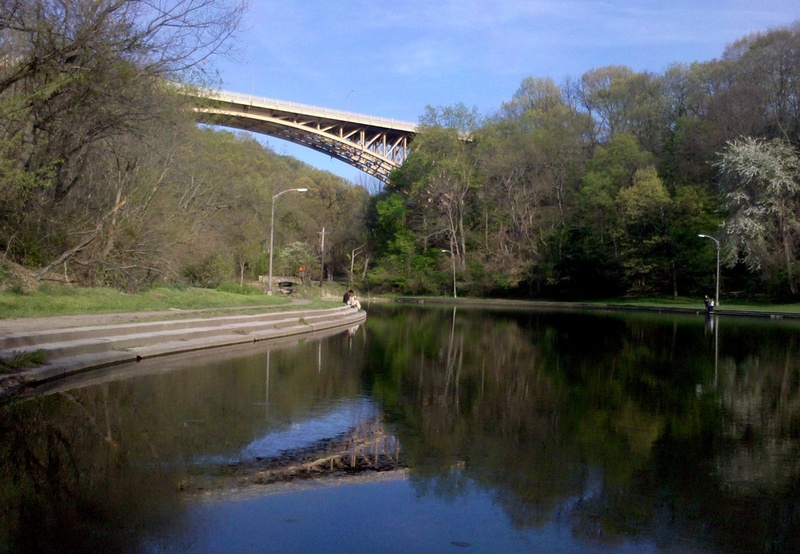 Panther Hollow in Schenley Park. Pittsburgh, Pennsylvania. 2010. St Andrews Cathedral. St Andrews, Scotland. 2009. The Hub. Edinburgh, Scotland. 2008. Parrish Walk in the snow. Swarthmore, Pennsylvania. 2005.